[Geek3D-Test] FurMark, Catalyst 8.8 and HIS Radeon HD 4850: Torture Test PASSED! This score is almost twice the first one. That explains now the odd result I get with FurMark in this post: ATI Catalyst 8.8 vs 8.7: OpenGL Performance Drop. In both tests, the frequencies were the same. 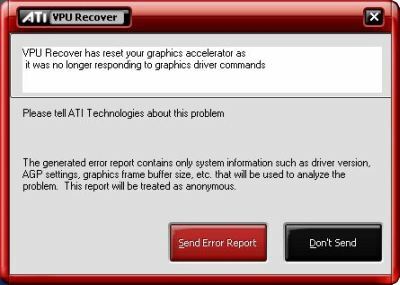 ATI Catalyst 8.8 does not downclock the GPU frequency but makes the GPU running slower (what does it means???). 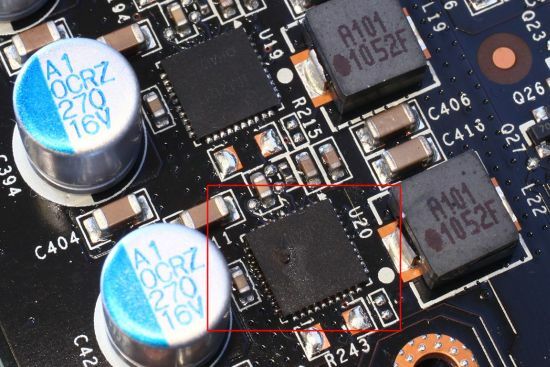 Anyway, it seems obvious the Radeon HD 4800 series have some serious thermic problems. 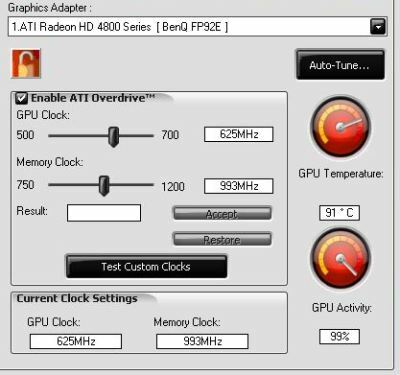 Maybe I could add a kind of GPU temperature limitation for Radeon HD 4800 series. 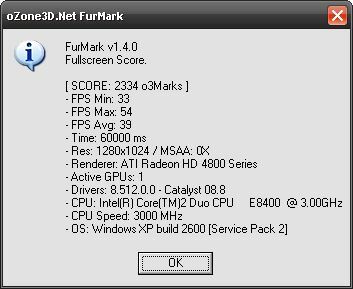 If temperature exceeds 90 degrees on Radeon HD 4850 and HD 4870, FurMark will stop the rendering or will render one frame over two or three… But actually I think I’m not going to do that. FurMark is a torture test but it’s most of all a standard OpenGL application. I don’t use low level code or different rendering path for Radeon or GeForce. The same code is injected in both rendering pipeline. And then any OpenGL 2.0 compliant GPU should process this code if the surrounding graphics hardware (I mean memory modules, power MOSFETs properly cooled, etc.) is well designed and implemented by graphics cards makers. The proof, HIS’s Radeon HD 4850 PASSED all FurMark tests I did, with stock clocks as well as with overclocked clocks. 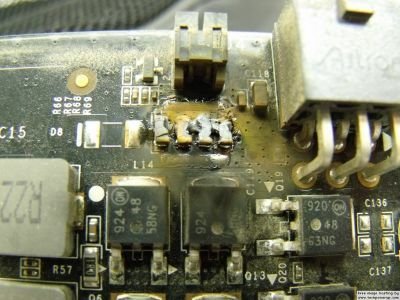 Now dear readers, let’s burn HIS’s Radeon HD 4850. 94 degrees after 3 minutes in 640×480 no AA windowed mode: TEST PASSED! 96 degrees after 3 minutes in 1024×768 no AA windowed mode: TEST PASSED! 96 degrees after 3 minutes in 1024×768 no AA windowed mode: : TEST PASSED!